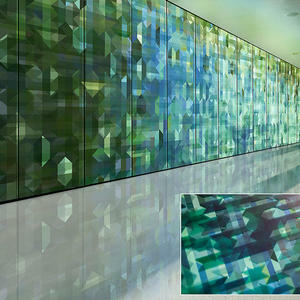 Now you can use virtually any image or photo—without worrying about size or resolution—to create highly customized architectural glass designs of any scale. What is the VEKTR Digital Canvas? The VEKTR Digital Canvas (VDC) is our newest interactive design tool. Unlike anything on the market today, the VDC gives registered users the ability to create highly customized architectural glass designs of any scale using any image. Technically speaking, the VDC allows registered users to transform raster images of any size into infinitely scalable, highly customizable multi-layered artwork – referenced in the VDC as a ‘canvas’. 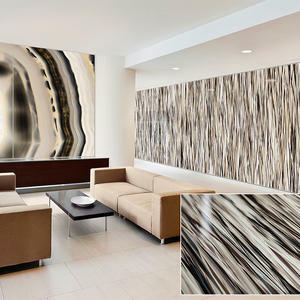 Each canvas generates a unique vector file that is output as two continuous tone interlayers in our ViviSpectra VEKTR laminated glass. Why is VEKTR such an exciting development? VEKTR’s infinitely scalable vector format eliminates the size/resolution constraints of raster images. This means you can use images from virtually any source to personalize VEKTR canvases. Capture the shots you want with your smart phone or tablet. Select images from your own image library. Use client artwork. Scan print literature or material swatches. Choose low-res stock images. Or draw from our Zoom Digital Darkroom. The choice is yours. With VEKTR, you don’t need professional photography, a benefit that gives you the freedom to maximize casual photos with local or project-specific importance, and potentially realize time- and cost-saving advantages as well. 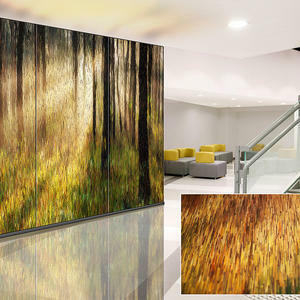 Beyond source image flexibility, VDC canvas patterns, colors and dimensions are fully customizable. By applying different filters and levels of abstraction to a single source image, designers have more ways than ever to creatively bring nature into a space, incorporate local scenes, support branding and visual merchandising themes, align with project-specific colors and design elements, or carry a unified look across a setting. The VDC: Intuitive, Comprehensive, and Fun! Getting started with the VEKTR Digital Canvas is easy, thanks to its intuitive design tool interface: simply drag your source image into the VDC workspace. From there, the app’s filters and controls allow registered users to experiment with different visual effects, view their progress in live renderings, create projects and save their work. VDC canvases can be visualized in 2D and 3D, and downloaded as a standalone image or as a comprehensive PDF for easy sharing. Registered users can create multiple canvases that can be linked to a single or multiple projects, which in turn can be submitted for budget pricing straight from the application. Like all of our Design Tools, the VEKTR Digital Canvas makes it easy for you to move from start to finish without leaving the app—and have fun in the process! 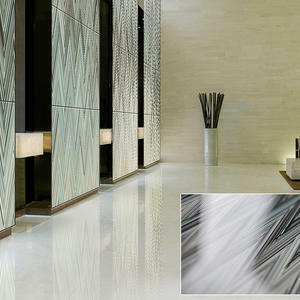 Canvases created with the VDC are output as two continuous tone interlayers in our ViviSpectra VEKTR laminated glass. Layering the VEKTR design adds a sense of depth and dimension to the overall visual. A choice of glass finishes allows you to further tailor the end results. Together, the VEKTR Digital Canvas and ViviSpectra VEKTR glass make it easier than ever to bring customized interpretations of your own digital imagery to architectural glass applications of any scale. Add our Systems products – LightPlane Panels and LEVELe Walls, Columns and Elevator Interiors – to the mix, and the creative potential is astounding. As an architectural glass manufacturer, customers often come to us looking for ways to customize their projects by using their own artwork or photography in our VividGlass laminated glass. Increasingly, we’re hearing from designers who want to bring region-specific imagery into their glass designs as a way to create meaningful ties with the users of a space. Literal and abstract interpretations of local scenes, landmarks and cultural icons, and natural settings are among the requests to date. Also on the list: designers wanting to creatively incorporate imagery that supports branding and visual merchandising themes or that defines the atmosphere of a space with colors, patterns, and compositions specific to an end use or setting. The Challenge. Finding imagery of an appropriate size and resolution for use in large-scale glass applications can be a frustrating pursuit. Personal or stock photography may provide the desired visual but it’s often too small to achieve a favorable end result. Custom photography can be expensive and time-consuming to produce. Project budgets or timelines can present obstacles of their own. Any or all of these factors can compromise creativity and make it difficult for designers to find—and be able to use—the right imagery to express their ultimate vision. The Opportunity. Facing these challenges we found ourselves asking: What if we could give our customers the freedom to use any image, regardless of source, size or resolution, in our laminated glass? What if we could give them a way to use these images to create highly personalized designs at any scale? And, knowing that our glass can be used in many of our Systems products, what if we could make it easy for them to use a single image to carry a cohesive look throughout a space—from feature walls to elevator interiors to wayfinding elements and more? The Result. The VEKTR Digital Canvas and ViviSpectra VEKTR Glass: a design tool and a product line that gives you the tools you need to transform any image of any size into stunning architectural glass designs of any scale.